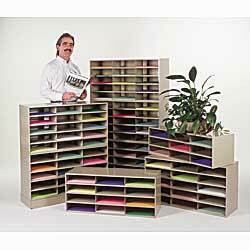 Material Handling Solutions carry a sturdy all steel selection of horizontal literature racks. 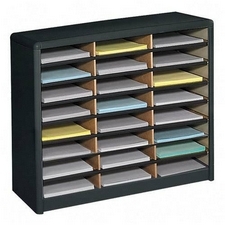 These literature racks are convenient for both floor and desktop use. 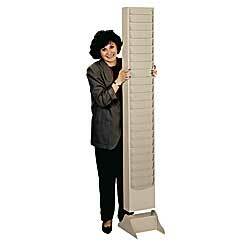 They can be stacked vertically with the hardware provided and are appropriate for any dÃ©cor. 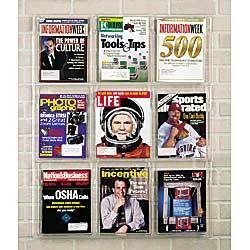 Our literature racks offer an economical solution for organizing and storing literature in your office or facility. 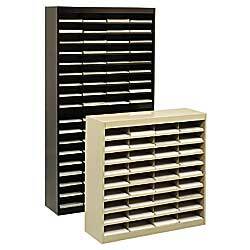 These racks are available in black or tan. 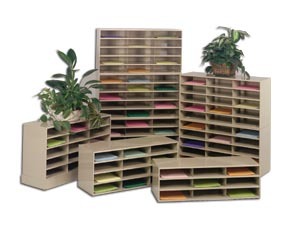 Â An optional base & wood top can be ordered separately. 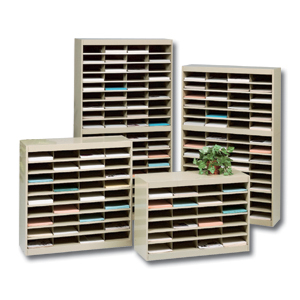 We have a variety of sizes available to meet the storage needs you require.